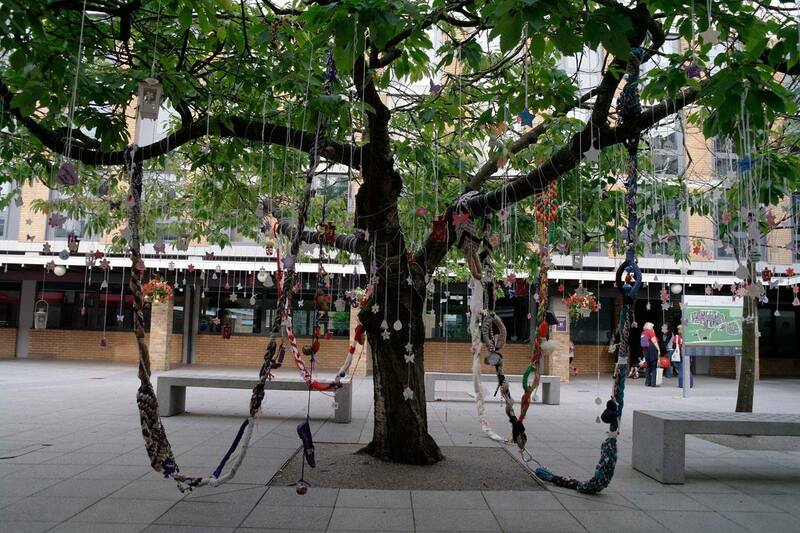 The Wishing Tree Project is my ongoing project since 2012 based on my textile sculptures called “Big Bracelets.” I am interested in making art with everyday life objects, and transferring their original purposes into new meanings. 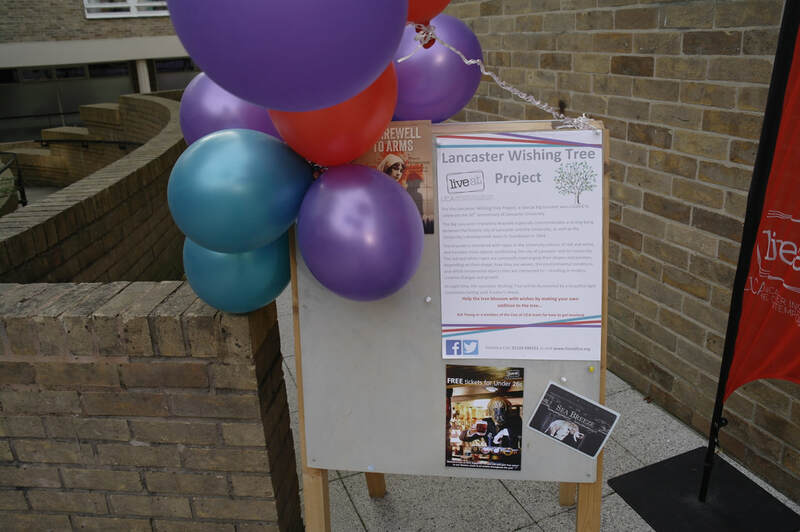 The Lancaster Wishing Tree project is to transform an ordinary tree to a wishing tree. 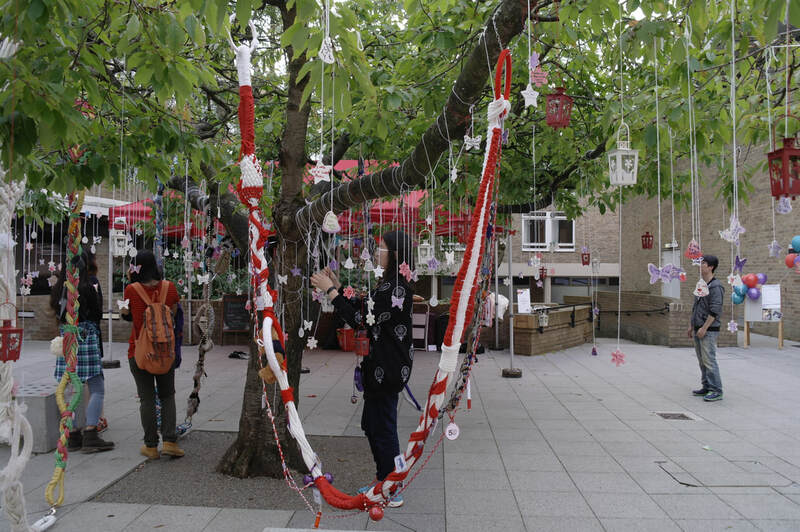 The wishing tree is a mysterious tree which is used as an object of wishes and offerings, and considered as possessing a spiritual, as well as artistic, value. The idea of Big Bracelets originated from the French bracelets which girls love to make with colorful threads and charms as a symbol of their friendship. 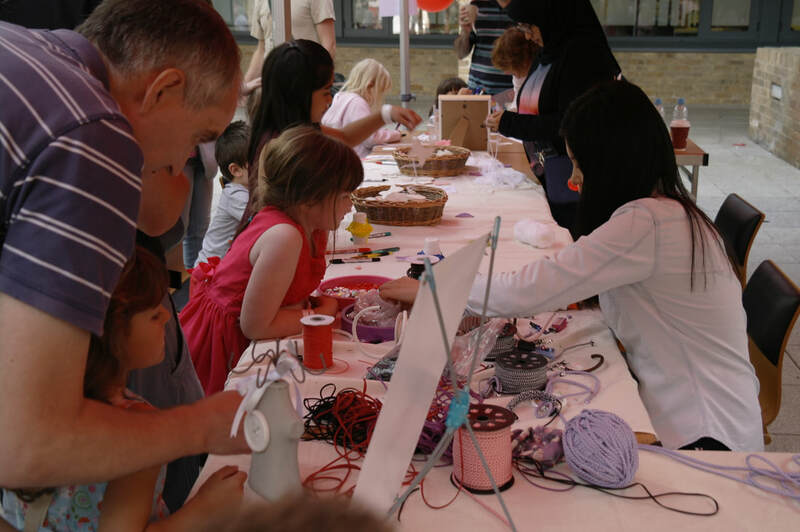 I transformed the French bracelet making activity into an artistic creation by employing life-size daily life objects, such as rope, cosmetics, shoes, household items, toys, and DVD players to substitute for threads and beads. The Bracelets decorated with daily life objects have giant scale. The life size ornaments on the Big Bracelet look familiar and strange at the same time. This experience opens a new way of seeing in our everyday life and relationships as we experience different perspectives, and their harmonization by weaving together. 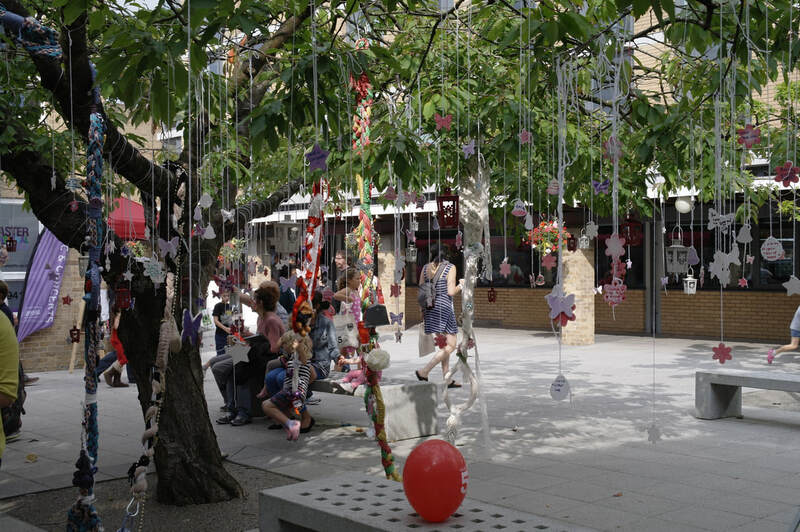 In the Wishing Tree project, the different bracelets hanging from the tree have their own themes and different wishes, like a wedding bracelet, a mother’s bracelet, and a daughter’s bracelet. When the bracelet is connected to other bracelets, they continuously create new shapes and stories as part of an ongoing communication with the viewers.